Guess what I bought over the weekend? 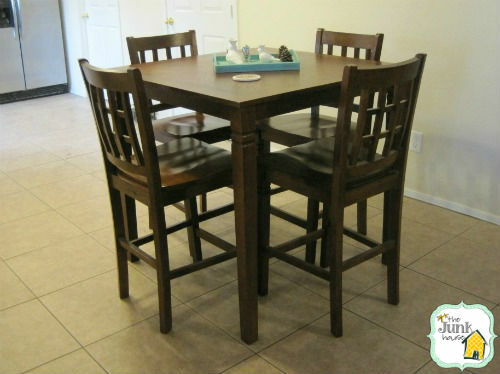 A new dining room table! 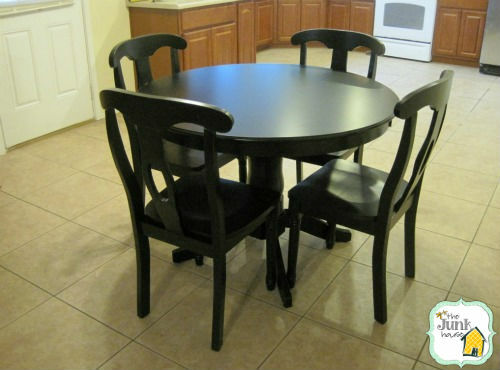 It’s the Better Homes and Gardens Pedestal Dining Set from Wal-Mart. I’ve wanted it for FOR-EV-ER and I finally bought it on Saturday! The table was $258, but I had a $100 Wal-Mart gift card from my credit card points. The table ended up being a great price…and I don’t have to worry about painting/fixing it up like I (probably) would with a Craigslist set. I’m not sure if I’ve ever shared a picture of my old dining room table. If not, this is the dining room table I’ve had for the past 3 years. It’s still in good shape (except a few puppy teeth marks), but it’s time for something more “me”. 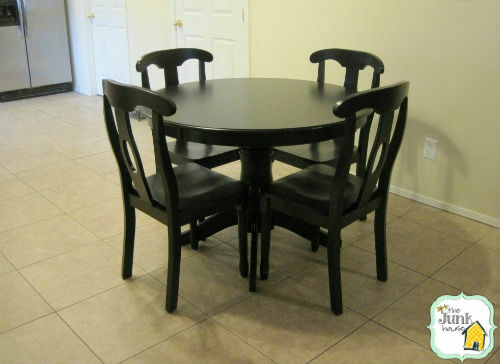 I also wanted a regular height table, so I can pull up extra chairs when friends come over. 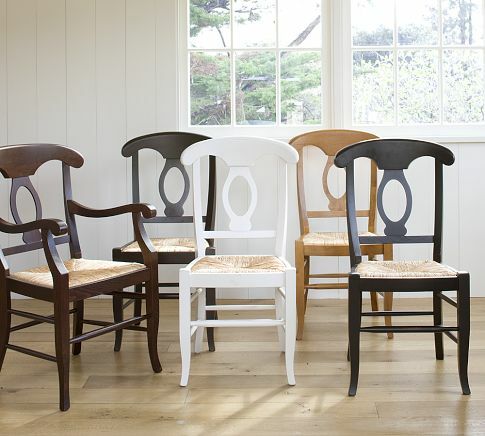 Oh, and don’t those chairs look similar to these? $179 a pop at Pottery Barn! Yikes! I'll stick with my $158 set! And I can't forget: Big thanks to my boyfriend for putting it all together! Love him! Congrats! It's lovely and looks great in the space! Girl! I love it! I think it looks great! Now I want a new table too! I like the tall table too but they are sort of limiting as far as having big groups of people. And plus you got a great deal on it! Good work! 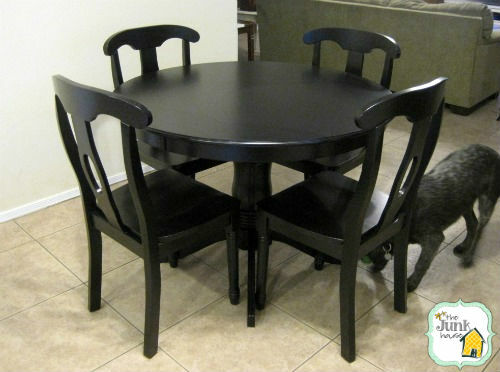 Great post shared on dining room table for better home. Thanks for sharing.